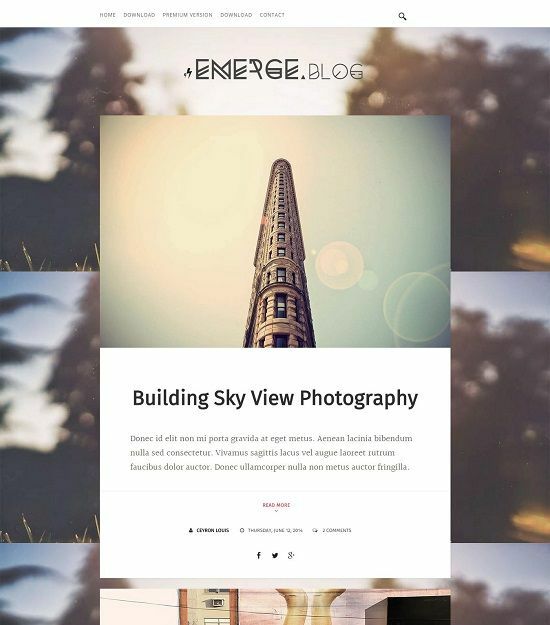 Emerge is a free blogger template with clean and minimal design. The single column blogger template will stand out from the crowd with its rich typography and top notch design. The template is fully responsive and well optimized for search engines. The user can change the background image and other elements of the website easily. Emerge blogger template is an ideal choice for your personal blogging website.